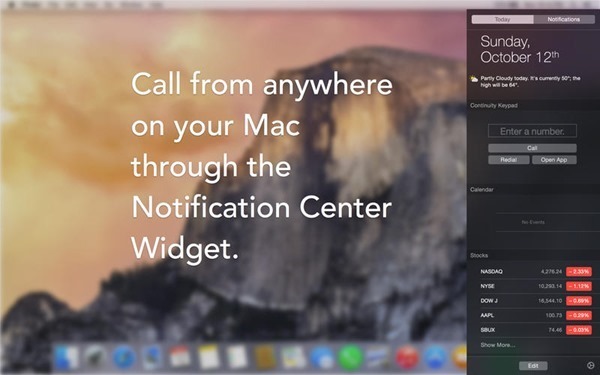 Here’s a list of the top ten best OS X Yosemite Notification Center widgets you should download right now. More details and complete list can be found right here. 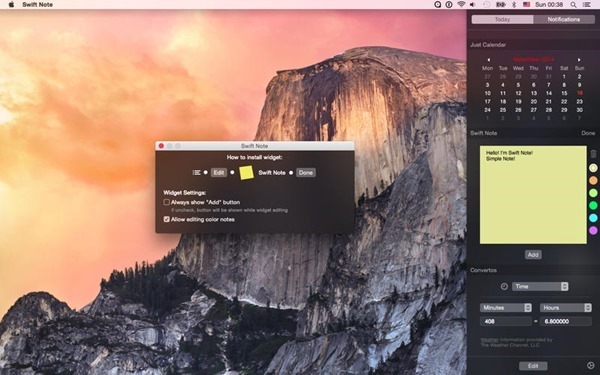 Just like iOS 8, OS X Yosemite supports having widgets in Notification Center, allowing you to do small tasks real quick, or take a quick glance at something without launching a full-blown app. 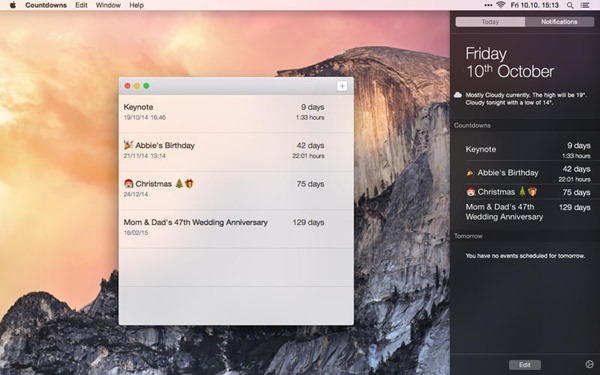 One of the quickest and simplest ways to access your calendar, this neat little widget lets you easily switch between months and offers a few cosmetic tweaks as well, blending in very neatly with Yosemite’s Notification Center. As the name itself suggests, this widget helps you keep track of time left till certain events you’re looking forward to, with the ability to add multiple events to countdown to. The widget is free, and well serves the purpose it was designed for. And since Christmas is right on our noses, you might want to download this and set up a countdown right away. One of the best and detailed monitoring tools for your MacBook, Battery Diag offers information related to your battery health and status, charge cycle, remaining charge and time, etc. right in the Notification Center. This widget is absolutely free for limited period so grab it while the offer lasts. Covered as a part of our guide on how to add a phone dialer to OS X Yosemite, Keypad lets you make calls from your iPhone through your Mac by utilizing the Continuity feature. Users can already do this via the FaceTime app, but this widget provides the good ol’ number punching frontline GUI for the same. 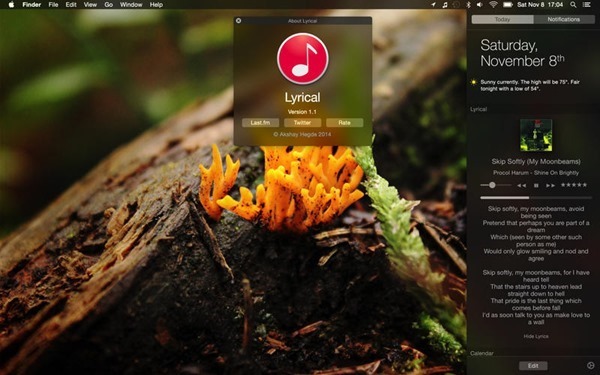 Not only does this beautiful widget display the lyrics of the songs being played on your Mac, but also shows the album artwork, artist, song name, in addition to the playback and sound controls, right from the Notification Center. 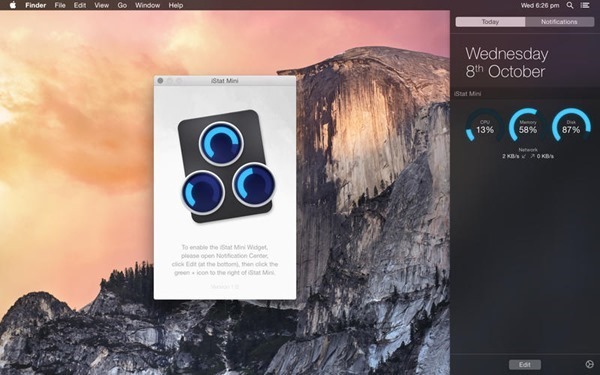 Quickly adjust the brightness of your Mac with this slider based widget which sits in your Notification Center. 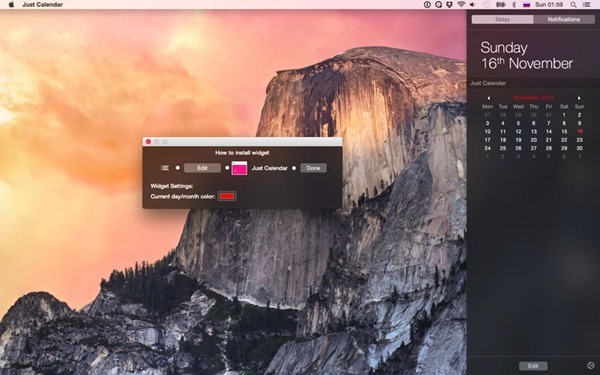 No fancy settings, just a volume-like slider to adjust your screen’s brightness. 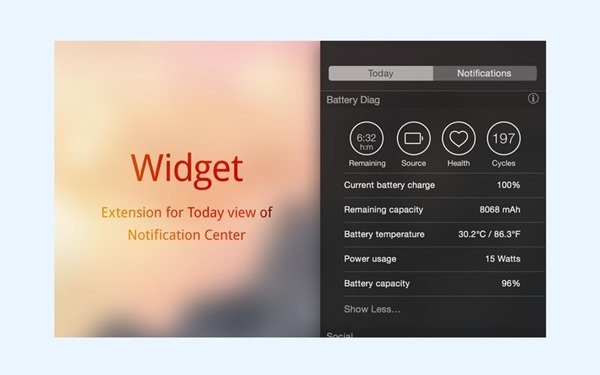 Akin to the name of the widget itself, this useful piece of software sits in your Notification Center, displaying system stats such as CPU usage, memory usage, disk usage, as well as network stats. This handy Notification Center widget lets you jot down quick notes, negating the need to launch a proper app for the same purpose. 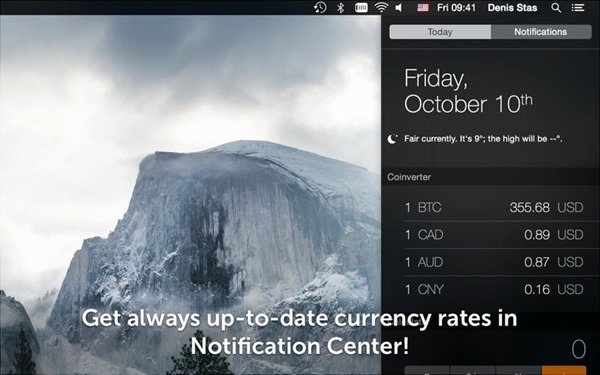 You can now convert currencies straight from the comfort of your Notification Center with Coinverter. This widget works and keeps itself updated with the exchange rates via the Internet without requiring user input on the matter. The popular tile based puzzler that is making rounds on almost every platform can now be secretly kept in your Notification Center for some quick entertainment when you get the chance. Never knew all these existed. Gonna try some of them later. 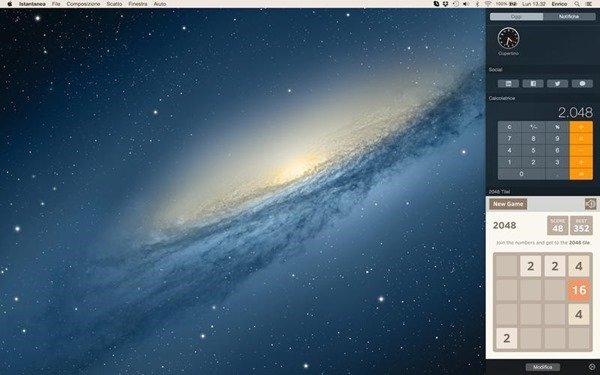 Using Monity instead of iStat mini. again.. why don’t you link to these programs? what sense does it make to have an article detailing all these different apps, just to have the user google and take an extra 3 steps to find the software that is covered? Is it an SEO technique or something? So frustrating..
And thanks for deleting my comment about this on another thread a few weeks ago. smh. How do we download these? Lyrical is supposedly not available in the US? A link would be really helpful.